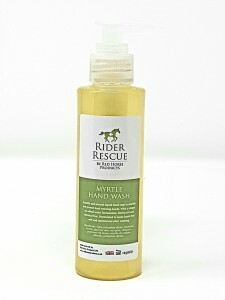 Containing only naturally occurring ingredients Hoof-Stuff is non-toxic, safe and easy to use. Its ability to stay in crevices due to its fibrous content allows it to act for longer than other treatments. 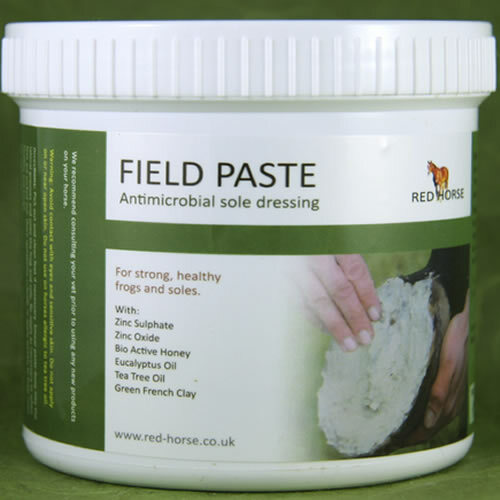 Hoof-Stuff has been found useful for seedy toe, white line disease, deep central sulcus separation, abscess cavities, grass cracks among other issues. Its active ingredients act not only to eliminate bacteria and fungus but also promote healing and restoration of healthy tissue. 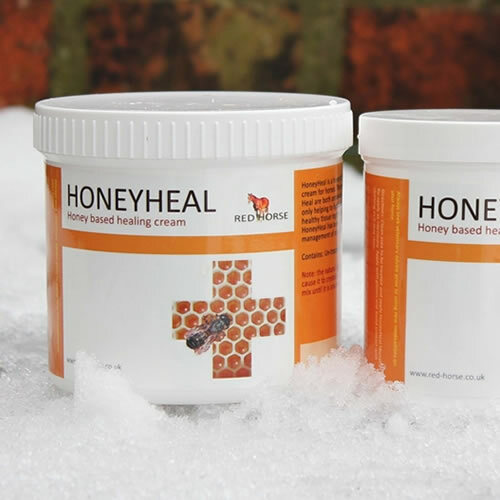 Natural Fibres – To keep the other ingredient in place in cavities and to provide ‘beneficial pressure’ to the inside of them and promote regrowth of healthy tissue. Nothing has been added to bulk the product out or make it cheaper/easier to produce. Every ingredient has a job – to work to solve the problem that it is there to deal with. 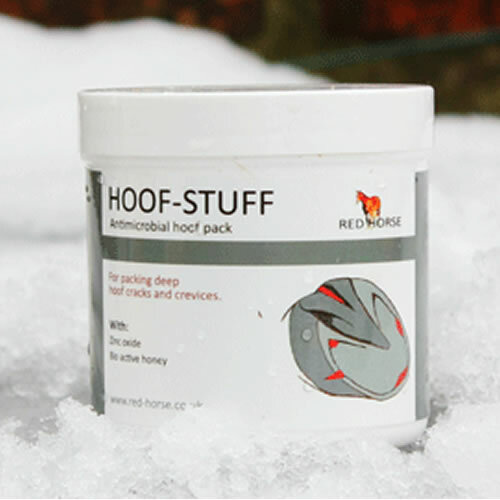 How to use Hoof-Stuff – it’s not that hard! Flush the crevice/ hole with Sole Cleanse and clean out as much debris as possible. Break through the wax seal on the Hoof-Stuff and draw out some fibres with a clean hoof pick. Use the hoof pick to stuff the pack into the crack, not pushing hard if there are signs of sensitivity if it is extremely deep. 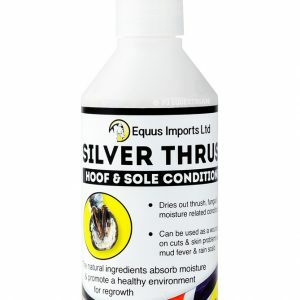 For deep central sulcus it can be helpful to leave a ‘tail’ out the back of the hoof to aid easy removal. Remove the pack with a hoof pick after 24 hrs, if it is clean replace it with a new pack and leave for longer next time. If the pack is getting dirty then you should replace it more often. The interval between replacements depends very much on the specific condition and environment. Do you have to remove the pack and clean the crevice daily or does product stay in for certain time? As a test see if damp cotton wool will pack into the crack, if it will Hoof-Stuff will probably work best, if not opt for Artimud.